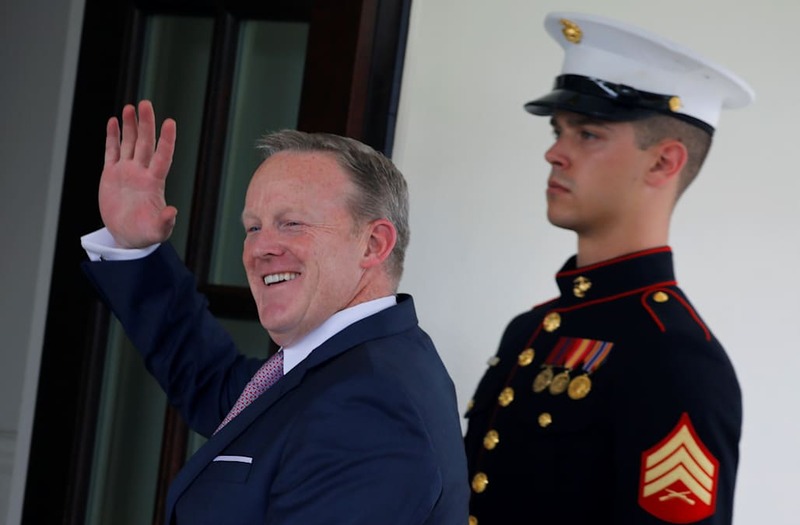 Sean Spicer's resignation from the press secretary post on Friday was generally framed as a positive development for President Donald Trump's White House, which has been battered by a rolling drumbeat of controversies since Trump took office. Spicer said he hoped his departure would give incoming communications director Anthony Scaramucci and the White House press office a "clean slate." Chief of staff Reince Priebus said "It's good to start fresh." Trump, who had a lukewarm relationship with Spicer, wished him well in public statements. But a New York Times report published Friday night cited sources who painted Scaramucci's hiring and Spicer's immediate resignation as a development for which the writing had long been on the wall — and that Trump and Spicer had simply had enough of each other. "Mr. Trump and Mr. Spicer did not have a close relationship," The Times' Glenn Thrush and Maggie Haberman wrote, adding that even though Trump had signaled to his aides that he wanted Spicer to stay, the president ultimately felt that the outgoing press secretary had lost his edge. Citing friends in whom Spicer had confided, The Times wrote that he was exasperated with Trump's "constant criticism," and was "tired of being blindsided" by the president.